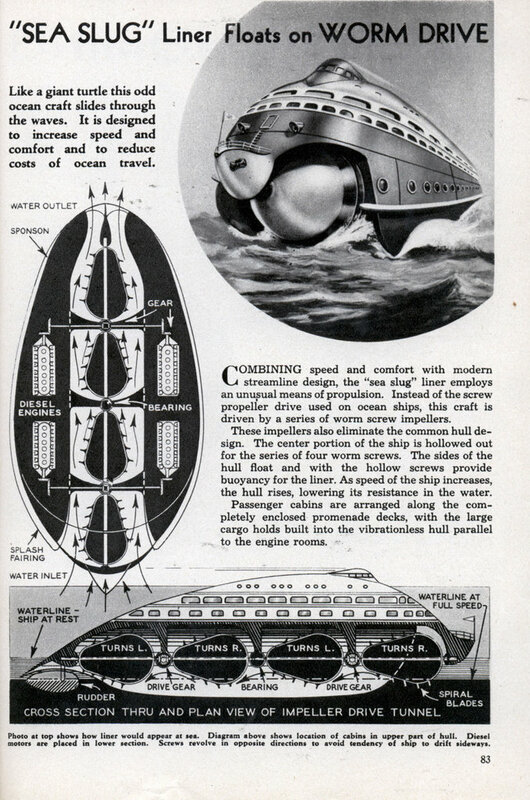 COMBINING speed and comfort with modern streamline design, the “sea slug” liner employs an unusual means of propulsion. 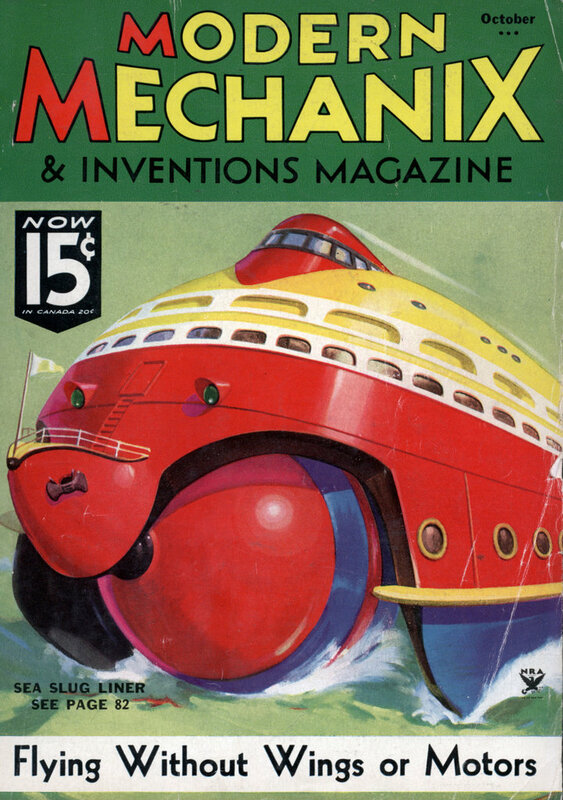 Instead of the screw propeller drive used on ocean ships, this craft is driven by a series of worm screw impellers. These impellers also eliminate the common hull design. The center portion of the ship is hollowed out for the series of four worm screws. The sides of the hull float and with the hollow screws provide buoyancy for the liner. As speed of the ship increases, the hull rises, lowering its resistance in the water. Passenger cabins are arranged along the completely enclosed promenade decks, with the large cargo holds built into the vibrationless hull parallel to the engine rooms. That’s cute, but uh, how’s it supposed to stay upright if all its mass is above the water level? By the way, the whole upright thing could also be asked of hydrofoils http://www.hydrofoil.or… but they seem to manage.